Blackleg of potato is caused by bacterial pathogens and can cause up to 100% losses. Blackleg causes darkened, rotting stem lesions extending from the roots upward, and most tubers will rot prior to maturity (Figure 1). 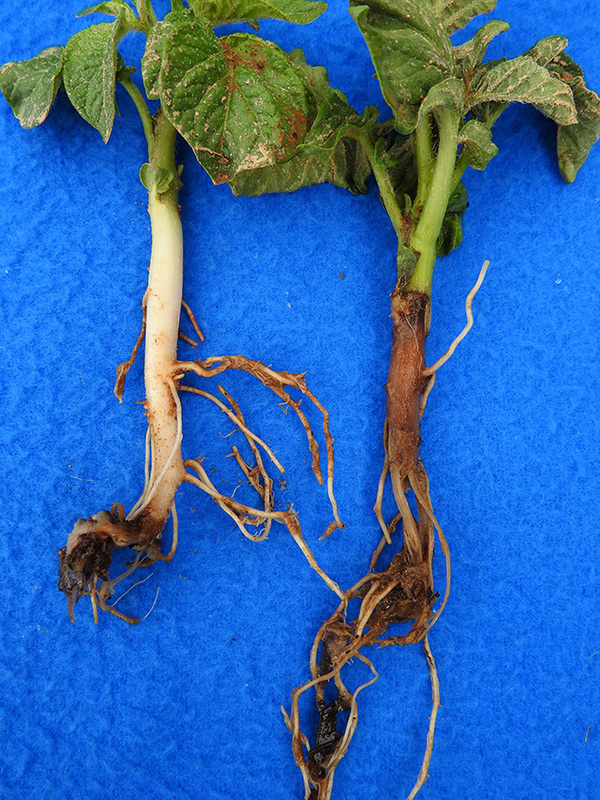 Figure 1: Blackleg, caused by D. dianthicola, causes dark rotting lesions extending from potato plant roots upward (Photo: Meg McGrath, Cornell University). In Kentucky, blackleg has been caused by Pectobacterium spp. in the past. However, Dr. Andy Wyenandt, Dr. Meg McGrath, and other plant pathologists across the Mid-Atlantic, are reporting an emerging bacterial pathogen, Dickeya dianthicola, causing blackleg of potato in New Jersey, New York, and elsewhere. States reporting the emerging pathogen have received shipments of seed potato from Maine, and these same suppliers distribute to Kentucky growers. Varieties that have tested positive for the emerging pathogen include ‘Reba,’ ‘Snowden,’ ‘Norwis,’ ‘Vivialdi,’ ‘Superior,’ and ‘Waneta,’ from New Jersey and New York reports. If blackleg is suspected on potatoes grown in a garden or field, please contact a local county agent as soon as possible; they will get in touch with the University of Kentucky Plant Disease Diagnostic Labs for pathogen identification.